Click HERE to view the Book Nerd Vlog Post with Emmy Laybourne. Click HERE to view the Book Nerd Vlog Post with Michael F. Haspil. A.J. HARTLEYis the bestselling writer of mystery/thriller, fantasy, historical fiction, and young adult novels. Click HERE to view the Book Nerd Vlog Post with A.J. Hartley. ELANA K. ARNOLD completed her M.A. in Creative Writing/Fiction at the University of California, Davis. She grew up in Southern California, where she was lucky enough to have her own horse--a gorgeous mare named Rainbow--and a family who let her read as many books as she wanted. She lives in Huntington Beach, California, with her husband, two children, and a menagerie of animals. She is represented by Rubin Pfeffer of Rubin Pfeffer Content. Click HERE to view the Book Nerd Vlog Post with Elana K. Arnold. P.J. (TRICIA) HOOVER wanted to be a Jedi, but when that didn’t work out, she became an electrical engineer instead. After a fifteen year bout designing computer chips for a living, P. J. decided to start creating worlds of her own. She’s the author of Tut: The Story of My Immortal Life, featuring a fourteen-year-old King Tut who’s stuck in middle school, and Solstice, a super-hot twist on the Hades/Persephone myth. When not writing, P. J. spends time with her husband and two kids and enjoys practicing kung fu, solving Rubik’s cubes, watching Star Trek, and playing too many video games. For more information about P. J. (Tricia) Hoover, please visit her website www.pjhoover.com. Click HERE to view the Book Nerd Vlog Post with P.J. Hoover. Click HERE to view the Book Nerd Vlog Post with Erika Lewis. Click HERE to view the Book Nerd Vlog Post with Colleen Houck. Click HERE to view the Book Nerd Vlog Post with Carrie Arcos. Click HERE to view the Book Nerd Vlog Post with Stephanie Morrill. ERIN LYON is a practicing attorney who spends her free time writing novels about lawyers. I Love You* Subject to the Following Terms and Conditions is her debut novel. Visit her online at: www.erinlyon.net. Click HERE to view the Book Nerd Vlog Post with Erin Lyon. TODD FAHNESTOCK won the New York Public Library's Books for the Teen Age Award for one of his short stories, and is the author of the YA bestseller Fairmist as well as The Wishing World. Stories are his passion, but Todd's greatest accomplishment is his quirky, fun-loving family. The Wishing World began as a series of bedtime stories for his children. Click HERE to view the Book Nerd Vlog Post with Todd Fahnestock. SIERRA KINCADE lives in the Midwest with her husband and son. When she’s not writing naughty books, she loves eating chocolate cupcakes, binge-watching cable series, and singing loudly in the car. She wholeheartedly believes that love stories are real, and you should never choose a partner who doesn’t make you laugh. Click HERE to view the Book Nerd Vlog Post with Sierra Kincade. Click HERE to view the Book Nerd Vlog Post with Lorie Langdon. Click HERE to view the Book Nerd Vlog Post with D.J. MacHale. Click HERE to view the Book Nerd Vlog Post with Whitney A. Miller. Click HERE to view the Book Nerd Vlog Post with Kristen Simmons. I love nothing more than creating characters - both on page and on-stage! I studied English Literature at Sheffield University, spent a year at UNC-Chapel Hill, followed by a crazy year at Mountview drama school, a national Shakespeare tour, and back-packing through South-East Asia. I love all genres, and am busily working on a variety of projects from novels to picture-books - whilst playing the odd princess/assassin/zombie in-between! My debut YA/Crossover novel SOMEONE ELSE'S LIFE was published by Simon & Schuster in February 2012, won both the Stockport Mad About Books Award and Oldham Brilliant Books Award, and is being published all over the world. My second YA novel, LITTLE WHITE LIES, is more of a thriller about justice, identity and loyalty. It won the UKYA Blogger Award for "Best Ending" and is out now in the UK, and out tomorrow in the US and Canada. At the other end of the scale my humorous rhyming FAIRY TALE TWISTS series (Orchard Books) takes a selection of familiar fairytale characters and reveals their version of events - as you've never seen them before! Click HERE to view the Book Nerd Vlog Post with Katie Dale. Click HERE to view the Book Nerd Vlog Post with Neil Gibson. JOHN DAVID ANDERSON writes novels for young people and then, occasionally, gets them published. Besides Minion, he is the author of Sidekicked, and Standard Hero Behavior. He lives with his patient wife and brilliant twins in Indianapolis, Indiana, right next to a State park and a Walmart. He enjoys hiking, reading, chocolate, spending time with his family, playing the piano, chocolate, making board games, chocolate, not putting away his laundry, watching movies, and chocolate. Those aren't his real teeth. Click HERE to view the Book Nerd Vlog Post with John David Anderson. Click HERE to view the Book Nerd Vlog Post with Jessica Shirvington. Click HERE to view the Book Nerd Vlog Post with S.J. Kincaid. MATT WHYMAN is a bestselling author, also known for his work as an advice columnist for numerous teenage magazines. He has written two novels for adults, Man or Mouse and Columbia Road, as well as both fiction and non-fiction for teenagers, including Superhuman, XY, Boy Kills Man, XY:100, The Wild, the So Below trilogy, Inside the Cage,Goldstrike and The Savages. His most recent books, Oink! My Life With Minipigs (also known as Pig in the Middle), and Walking with Sausage Dogs, are both comic memoirs about family life with problem pets, published by Hodder and Stoughton. Matt has worked as ghost-writer for the recent autobiography of a celebrity dancing dog, and under the pen name of Carnegie-nominated mystery writer, Lazlo Strangolov, author of Feather and Bone and Tooth and Claw. A graduate from the University of East Anglia's MA in Creative Writing, Matt is often invited to teach the subject for writers of all ages. Recently, he has hosted workshops across Russia and the Middle East. Matt is married with four children, and lives in West Sussex, UK. Click HERE to view the Book Nerd Vlog Post with Matt Whyman. Click HERE to view the Book Nerd Vlog Post with Ken Baker. WILLIAM CAMPBELL POWELL was born in 1958 in Sheffield, but grew up in and around Birmingham. He was educated at King Edward’s School, Birmingham, and gained a scholarship to Clare College, Cambridge to study Natural Sciences. Leaving Clare College in 1980 with a BA in Computer Science, he entered the computer industry, which is where he has been ever since. William has been writing since 2002, experimenting with various genres, but he is most at home with Science Fiction, Historical Fiction and fiction for Young Adults. Click HERE to view the Book Nerd Vlog Post with William Campbell Powell. Click HERE to view the Book Nerd Vlog Post with Susan Kim and Laurence Klavan. MEGAN MIRANDA is the author of Fracture and Hysteria. She spends a great deal of time thinking about the "why" and "how" of things, which leads her to get carried away daydreaming about the "what-ifs." Megan has a degree in Biology from MIT and currently lives near Charlotte, North Carolina with her husband and two young children. Click HERE to view the Book Nerd Vlog Post & Giveaway with Megan Miranda. Click HERE to view the Book Nerd Vlog Post & Giveaway with Gregg Rosenblum. Click HERE to view the Book Nerd Vlog Post & Giveaway with Kristen Simmons. KERI LAKE is a married mother of two living in Michigan. She writes fiction in the genres of paranormal romance, urban fantasy and recently finished book 1 of a paranormal YA series. A graduate of Michigan State University (go green! ), Keri holds 2 degrees in science but would gladly trade them both to pursue her true passion for writing. Though novels tend to be her focus, she has also written countless short stories and flash fiction whenever the distraction arises. She completed her very first novel in 2008 and has written two more since then with a few in the works. Click HERE to view the Book Nerd Vlog Post & Giveaway with Keri Lake. ELANA K. ARNOLD completed her M.A. in Creative Writing/Fiction at the University of California, Davis. She grew up in Southern California, where she was lucky enough to have her own horse--a gorgeous mare named Rainbow--and a family who let her read as many books as she wanted. She lives in Long Beach, California, with her husband, two children, and a menagerie of animals. She is represented by Rubin Pfeffer of the East/West Literary Agency. Sacred is her debut novel. Click HERE to view the Book Nerd Vlog Post & Giveaway with Elana K. Arnold. KAMI GARCIA is the #1 New York Times, USA Today, Publishers Weekly, Wall Street Journal & international bestselling co-author of the Beautiful Creatures Novels (Beautiful Creatures, Beautiful Darkness, Beautiful Chaos & Beautiful Redemption). Beautiful Creatures has been published in 50 countries and translated in 39 languages. The Beautiful Creatures movie released in theaters on February 14, 2013. Kami is also the author of Unbreakable, the first book her paranormal solo series, THE LEGION (coming October 1, 2013. Kami grew up outside of Washington DC, wore lots of black, and spent hours writing poetry in spiral notebooks. As a girl with Southern roots, she has always been fascinated by the paranormal and believes in lots of things “normal” people don’t. She’s very superstitious and would never sleep in a room with the number “13″ on the door. When she is not writing, Kami can usually be found watching disaster movies, listening to Soundgarden, or drinking Diet Coke. Kami has an MA in education, and taught in the Washington DC area until she moved to Los Angeles, where she was a teacher & Reading Specialist for 14 years. In addition to teaching, Kami was a professional artist and led fantasy book groups for children and teens. She lives in Los Angeles with her husband, son, daughter, and their dogs Spike and Oz (named after characters from Buffy the Vampire Slayer). Click HERE to view the Book Nerd Vlog Post & Giveaway with Kami Garcia. I'm originally from the suburbs just south of Richmond, VA. I currently live in the great, tiny state of Rhode Island. I started writing because of a 7th grade homework assignment. My teacher Denise Stewart (A towering woman with incredible diction and a mass of curls who, in my memory, looks exactly like Lynn Redgrave) told me my story was good and that I should consider continuing to write. I've been taking her advice for roughly the last 27 years. Towards the end of Junior High I attended the University of VA's Young Writers Workshop, which is basically writers' camp. It was exactly as nerdy and as utterly fantastic as you might imagine. If you're a teen into writing, definitely check it out. During High School, when not writing, I was pretty wrapped up in the process of becoming a big ol' theater nerd. I wrote stuff and directed plays and performed in shows like Indians, A Streetcar Named Desire, The Taming of the Shrew, The Man of La Mancha and various others. After HS I went to study acting at East Carolina University then moved to New York right after that to ply my new trade. A few years later writing reared it's head again and I left NY and headed out to UC San Diego where I got an MFA in playwriting. A year or so after grad school I started reading books from writers like M.T. Anderson, KL Going, and David Almond and was blown away by the quality of writing that was going on for teen audiences. I was hooked. Click HERE to view the Book Nerd Vlog Post & Giveaway with Jeff Hirsch. JAY KRSITOFF is a Perth-born, Melbourne-based author. His first trilogy, THE LOTUS WAR, was purchased in the three-way auction by US publishing houses in 2011. He is as surprised about it as you are. The first installment, STORMDANCER, is set to be published in September 2012 in the US, UK and Australia. Click HERE to view the Book Nerd Vlog Post & Giveaway with Jay Kristoff. Click HERE to view the Book Nerd Vlog Post & Giveaway with Alexander Gordon Smith. D.J. MACHALE is a writer, director, executive producer and creator of several popular television series and movies. As an author, his ten-volume book series: PENDRAGON – JOURNAL OF AN ADVENTURE THROUGH TIME AND SPACE became a New York Times #1 bestseller. He was raised in Greenwich, CT and graduated from Greenwich High School. While in school, he had several jobs including collecting eggs at a poultry farm, engraving trophies and washing dishes in a steakhouse…in between playing football and running track. D.J. attended New York University where he received a BFA in film production. His filmmaking career began in New York where he worked as a freelance writer/director making corporate videos and television commercials. He also taught photography and film production. D.J. broke into the entertainment business by writing several ABC AFTERSCHOOL SPECIALS. As co-creator of the popular Nickelodeon series: ARE YOU AFRAID OF THE DARK?, he produced all 91 episodes over 8 years. D.J. also wrote and directed the movieTOWER OF TERROR for ABC’s WONDERFUL WORLD OF DISNEY which starred Kirsten Dunst and Steve Guttenberg. The Showtime series CHRIS CROSS was co-created, written and produced by D.J. It received the CableAce award for Best Youth Series. D.J. co-created and produced the Discovery Kids/NBC television series FLIGHT 29 DOWN. He wrote every episode and directed several. His work on FLIGHT 29 DOWN earned him the Writers Guild of America award for “Outstanding Children’s Script” and a Directors Guild of America award nomination. Other notable writing credits include the ABC AFTERSCHOOL SPECIAL titled SEASONAL DIFFERENCES; the pilot for the long-running PBS/CBS series GHOSTWRITER; and the HBO series ENCYCLOPEDIA BROWN, BOY DETECTIVE for which he received a CableAce nomination for writing. In print, D.J. has co-written the book THE TALE OF THE NIGHTLY NEIGHBORS, based on his own teleplay and penned the poetic adaptation of the classic Norwegian folk tale EAST OF THE SUN AND WEST OF THE MOON. His most current work is the spooky MORPHEUS ROAD trilogy; and a whimsical picture book THE MONSTER PRINCESS. D.J. lives in Southern California with his wife Evangeline and daughter Keaton. They are avid backpackers, scuba divers and skiers. Rounding out the household are two elderly goldfish and a Kitten, Kaboodle. Click HERE to view the Book Nerd Vlog Post & Giveaway with D.J. MacHale. Radio 2, which features the Radio 2 Book Club. He is also the co-presenter of 'Kermode and Mayo's Film Review' on BBC Radio 5 Live. In 2008, Mayo was recognized as the 'Radio Broadcaster of the Year' at the 34th annual Broadcasting Press Guild Awards and the 'Speech Broadcaster of the Year' at the Sony Radio Academy Awards. He lives in London with his family. Click HERE to view the Book Nerd Vlog Post & Giveaway with Simon Mayo. KATHARINE "KATIE" SISE is a New York City based author, jewelry designer and television host. Years ago, at age twenty-four— after dropping a rare and very expensive bottle of champagne on her way to deliver it to Robert De Niro’s table—she realized she needed a way to fund her acting and writing career that didn’t involve balancing a tray full of cocktails. That fall, she taught herself to make jewelry and launched Katharine Sise Jewelry. Within a few months, Lucky Magazine called her a “Designer to Watch” and her company appeared in every major fashion magazine—including Vogue, W, Elle, Self, Lucky, InStyle, Bazaar, Allure, Us Weekly, People, In Touch, Page Six Magazine, Real Simple, FN, Life and Style, Teen Vogue, Seventeen, Women’s Wear Daily, Marie Claire and Glamour. Before she knew it, her celebrity clientele included Kate Winslet, Cameron Diaz, Kelly Ripa, Ellen Pompeo, Mary-Kate and Ashley Olsen, Beyonce Knowles, Anne Hathaway and Drew Barrymore. Katharine has been profiled on dozens of online fashion and lifestyle outlets including Forbes.com, Elle.com, InStyle.com, People.com, Sweet, The Huffington Post and The New York Post. Her jewelry has appeared on television shows such as The View, Live with Regis and Kelly, E! News, Good Day New York, Full Frontal Fashion, Movie and a Makeover, The O.C., Brothers and Sisters and Gossip Girl. While Katharine was chatting with the ladies from The View, one of her necklaces broke on air and fell from her neck to her lap because she didn’t spend enough time getting the clasp right. That moment is preserved, forever, on a DVD at her parents’ house. Katharine has designed jewelry for national campaigns like Vera Wang, Gap and Keds. In 2009, Target launched Katharine Sise for Target. Katharine’s first novel, The Boyfriend App, will be published by HarperCollins Balzer + Bray on April 30, 2013. The Boyfriend App tells the story of a girl who, in order to win a scholarship offered by a secretly-evil global computing corporation, invents an app that makes any boy fall madly in love with her, with chaotic results. Click HERE to view the Book Nerd Vlog Post & Giveaway with Katie Sise. Click HERE to view the Book Nerd Vlog Post & Giveaway with Tim Shoemaker. RACHEL COKER resides in Virginia with her parents and two sisters. She has a passion for great books, and has been surrounded by them all her life. Her gift for writing became apparent at the age of eleven, at which time her parents signed her up for a year of lessons with a professional writing coach. Rachel also has a deep love for classical music and old black-and-white movies. When she is not writing or playing the piano, Rachel enjoys spending time with her family and friends and serving her Lord and Savior. Click HERE to view the Book Nerd Vlog Post & Giveaway with Rachel Coker. A New York Times and USA Today bestselling author with 13 books and sales of over one-million copies to his credit, Gregg made his young-adult fiction debut with Envy. The follow-up, Betrayal, will be published in September 2012. Click HERE to view the Book Nerd Vlog Post & Giveaway with Gregg Olsen. KAREN FINNEYFROCK is a poet, novelist and teaching artist in Seattle, WA. Her young adult novel, The Sweet Revenge of Celia Door, is due from Viking Children’s Books on February 21, 2013.Her second book of poems, Ceremony for the Choking Ghost, was released on Write Bloody press in 2010. She is a formerWriter-in-Residence at Richard Hugo House in Seattle and teaches forSeattle Arts and Lectures’ Writers-in-the-Schools program. In 2010, Karen traveled to Nepal as a Cultural Envoy through the US Department of State to perform and teach poetry and in 2011, she did a reading tour in Germanysponsored by the US Embassy. Click HERE to view the Book Nerd Vlog Post & Giveaway with Karen Finneyfrock. At the age of five, ADA ADAMS read her first chapter book—Pippi Longstocking by Astrid Lindgren. Ever since that moment, she developed an intense passion for stories and characters found within the pages of literature. Click HERE to view the Book Nerd Vlog Post & Giveaway with Ada Adams. A musician by trade, MATTHEW MAINSTER began writingGiggleswick on the backs of his piano scores while holed up in practice rooms throughout college. He is a graduate of Lebanon Valley College and Yale University, and lives with his family in Maryland. Click HERE to view the Book Nerd Vlog Post & Giveaway with Matthew Mainster. MELISSA LEMON has had many imaginary friends (and enemies) since she was a child. Her vivid imagination had her writing stories and jotting down book ideas for years until she finally sat down and finished a novel. She is married to an awesome man and the proud mother of three children. Music is also an important part of her life and she shares time with her music students teaching them piano, cello or guitar. Melissa is a graduate of the University of Utah and currently resides in the Salt Lake area. Click HERE to view the Book Nerd Vlog Post & Giveaway with Melissa Lemon. MEGAN MIRANDA was a scientist and high school teacher before writing Fracture, which came out of her fascination with scientific mysteries—especially those associated with the brain. Megan has a BS in biology from MIT and spent her post-college years either rocking a lab coat or reading books. She lives near Charlotte, North Carolina, where she volunteers as an MIT Educational Counselor. Fracture is her first novel. DEB CALETTI is an award-winning author and a National Book Award finalist whose books are published and translated worldwide. Her first novel was The Queen of Everything (Simon & Schuster, 2002),of which a starred review in Publisher’s Weekly proclaimed: “This marks Caletti as a writer to watch.” Although written for adults, its coming-of-age themes gained it acclaim as a Y/A book. It made the cover of the esteemed review journal The Bulletin for the Center of Children’s Books (the first trade book to do so in the journal’s history), and then was chosen for PSLA’s Top Forty of 2003 and the International Reading Association’s Young Adult Choices for 2004. It is currently in its thirteenth printing. Deb’s second book, Honey, Baby, Sweetheart, was a finalist for the National Book Award. Kirkus called it, “tender and poetic,” and the book earned other distinguished recognition, including the PNBA Best Book Award, the Washington State Book Award, and School Library Journal’s Best Book award. It was a finalist for the California Young Reader Medal and the PEN USA Literary Award, and was also a 2005 IRA Notable Book, an SSLI Book Awards Honor Book, and made the New York Public Library’s Best Books for the Teen Age, Chicago Library’s Best Books of 2004, and the Texas TAYSHA’s list. Her third book, Wild Roses, won acclaim with starred reviews in Publisher’s Weekly, which deemed it, “rich,” and School Library Journal, which said the book was “multifaceted and emotionally devastating,” with “profound observations and vivid language.” It was a finalist for the Washington State Book Award and was chosen as a New York Public Library Book for the Teen Age and a RT Book Club Magazine’s finalist for Best Y/A Book of 2005. The Nature of Jade was a summer 2007 Booksense pick, a Books A Million Book Club selection, and was a finalist for RT Magazine’s Best Y/A Book of the Year. Her fifth book, The Fortunes of Indigo Skye, was released April 2008, followed by The Secret Life of Prince Charming in 2009, The Six Rules of Maybe in 2010, Stay in 2011, and The Story of Us in 2012. In addition, several anthologies include work by Deb, including “First Kiss, Then Tell,” a Bloomsbury anthology benefiting NPR Youth Radio, and two collections of non-fiction critical essays developed by Borders Books: “The World of the Golden Compass” and “Through the Wardrobe: Your Favorite Authors on C.S. Lewis’s Chronicles of Narnia.” In 2013, Deb’s first book for adults, He’s Gone, will be released from Random House. Deb grew up in the San Francisco Bay area and earned her journalism degree from the University of Washington in Seattle. When Deb is not writing books or reading them, she is a painter and a lyricist, and speaks widely to audiences on writing and life as an author. Deb lives with her family in Seattle. Click HERE to view the Book Nerd Vlog Post & Giveaway with Deb Caletti. KRISTEN SIMMONS has a master’s degree in social work and is an advocate for mental health. She lives with her husband Jason and their precious greyhound Rudy in Tampa, Florida. KIMBERLY DERTING has been in love with love since the first grade, when she would make “boyfriends” hold her hand during recess . . . whether they wanted to or not. In high school, she discovered romance novels and she’s been hooked ever since! She is the author of the award-winning THE BODY FINDER series, THE PLEDGE trilogy, THE TAKING trilogy, and UNDRESSED (her first book in The Men Of West Beach series). She's also co-written the soon-to-be-released picture books about a girl who loves science! Her books have been translated into 15 languages, and both THE BODY FINDER and THE PLEDGE were YALSA Best Fiction for Young Adults selections. Click HERE to view the Book Nerd Vlog Post & Giveaway with Kimberly Derting. Click HERE to view my One Year Anniversary. RASHELLE WORKMAN is the Bestselling author of Sleeping Roses, Exiled, Aligned: An Immortal Essence Short Story, and the Blood and Snow series. Renowned goofball with attitude. Click HERE to view the Book Nerd Vlog Post & Giveaway with RaShelle Workman. TRINITY FAEGEN wasn’t always a writer. She had an illustrious career as a Campus Cop in college, led many children astray as a camp counselor, and decorated Christmas trees for sweet, and notsosweet, little old ladies. She loves metal and rock, the Rocky mountains, chocolate cake and college football. Mostly, though, she loves to write. Trinity lives in the outback of Texas with her husband and a mean cat. Click HERE to view the Book Nerd Vlog Post & Giveaway with Trinity Faegen. Click HERE to view the Book Nerd Vlog Post & Giveaway with Marissa Meyer. LAUREN KATE grew up in Dallas, went to school in Atlanta, and started writing in New York. She is the author of Fallen, Torment, the forthcoming Passion, and The Betrayal of Natalie Hargrove. Her books have been translated into over thirty languages. She lives in Laurel Canyon with her husband and hopes to work in a restaurant kitchen and learn how to surf. She is currently at work on the final book in the Fallen series,Rapture. Click HERE to view the Book Nerd Vlog Post & Giveaway with Lauren Kate. T.M. GOEGLEIN began his career as a writer of print and television ads for a host of advertising and media companies. As a screenwriter, he created both original scripts and worked as a script doctor for several production companies in Los Angeles. He was an original contributor to the Huffington Post 'Living' section, and continues to write for both the national edition and Huffington Post Chicago. Read T.M. Goeglein's stories on the Huffington Post. Click HERE to view the Book Nerd Vlog Post & Giveaway with T.M. Goeglein. D.C. GRACE has studied various cultures of Native American society for well over twenty years. She has three daughters. The girls, being half Chiricahua Apache and Cherokee respectively, have been raised to know as much about their heritage as possible. D.C. has also been fascinated with all things supernatural since childhood. She wrote her first vampire story at the ripe old age of nine. When she’s not trying out a new recipe or digging into a good book, D.C. can be found driving her daughters around town in her Mom Cab. She’s also a lover of music, and has passed that trait on – her middle child is the drummer in a rock band. D.C. lives just outside Louisville, KY. She shares a home with her daughters, two crazy kitties and a neurotic Chihuahua. She considers herself lucky they let her live with them. Click HERE to view the Book Nerd Vlog Post & Giveaway with D.C. Grace. HIROMI GOTO'S first novel, Chorus of Mushrooms (1994), received the Commonwealth Writers’ Prize for Best First Book in the Caribbean and Canada region and was co-winner of the Canada-Japan Book Award. Her short stories and poetry have been widely published in literary journals and anthologies. Her second novel,The Kappa Child (2001), was a finalist for the Commonwealth Writers’ Prize for Best Regional Book, and was awarded the James Tiptree Jr. Memorial Award. Her first children’s novel, The Water of Possibility, was also published that year. Hopeful Monsters, a collection of short stories, was released in 2004. Her YA/Crossover novel, Half World(2009), was long-listed for the IMPAC Dublin Literary Award and received the 2010 Sunburst Award and the Carl Brandon Society Parallax Award. Her long poem, co-written with David Bateman, came out in Fall 2009. Wait Until Late Afternoon is her first book-length poetry publication. Darkest Light, companion book to Half World, is her latest novel. It is the first book released under the new Razorbill Imprint of Penguin Canada. Hiromi is an active member of the literary community, a writing instructor, editor and the mother of two (big) children. She has served in numerous writer-in-residencies and is currently in BC, working on an adult novel and a graphic novel. Click HERE to view the Book Nerd Vlog Post & Giveaway with Hiromi Goto. ELANA JOHNSON'S debut novel, Possession, is available now from Simon Pulse (Simon & Schuster). Learn how to spell and say her name. Click HERE to view the Book Nerd Vlog Post & Giveaway with Elana Johnson. J. MEYERS grew up in Vermont and now lives in Central New York. When she’s not reading or writing, she’s chasing her four kids around, exploring the outdoors with them, relishing the few quiet moments she gets with her husband, baking sweet treats, and forgetting to make dinner. Though she cannot actually see the future nor heal with a touch of her hand, she likes to think her children believe she can. Intangible is her first novel. Click HERE to view the Book Nerd Vlog Post & Giveaway with J. Meyers. AMY PLUM is the author of the International Bestseller DIE FOR ME, which is an Indie Next List pick, Romance Times top pick, and recipient of a starred review from School Library Journal. DIE FOR ME is the first novel in a YA trilogy set in Paris. The second, UNTIL I DIE, will be released in May 2012. Click HERE to view the BookNerd Vlog Post & Giveaway with Amy Plum. Click HERE to view the Book Nerd Interview & Giveaway with T.M. Goeglein. Click HERE to view the Book Nerd Vlog Post & Giveaway with Mary Ting. Click HERE to view Guest Vlog & Giveaway with Kimberly Derting. 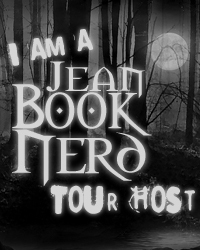 Click HERE to view the Book Nerd Interview & Giveaway with D.J. MacHale. KATHY REICHS’ first novel Déjà Dead catapulted her to fame when it became a New York Times bestseller and won the 1997 Ellis Award for Best First Novel. Her other Temperance Brennan novels include Death du Jour, Deadly Décisions, Fatal Voyage, Grave Secrets, Bare Bones, Monday Mourning, Cross Bones, Break No Bones, Bones to Ashes, Devil Bones, and 206 Bones, Spider Bones (August, 2010). Dr. Reichs is a producer of the hit Fox TV series, Bones, which is based on her work and her novels. Dr. Reichs is one of only eighty-two forensic anthropologists ever certified by the American Board of Forensic Anthropology. She served on the Board of Directors and as Vice President of both the American Academy of Forensic Sciences and the American Board of Forensic Anthropology, and is currently a member of the National Police Services Advisory Council in Canada. She is a Professor in the Department of Anthropology at the University of North Carolina-Charlotte. Click HERE to view the Book Nerd Interview & Giveaway with Kathy Reichs. Click HERE to view the Book Nerd Interview & Giveaway with Rachel Coker. JESSICA SHIRVINGTON lives in Sydney with her husband of ten years, FOXTEL presenter and former Olympic sprinter Matt Shirvington, and their two daughters. She has previously founded and run a coffee distribution company, Stella Imports, in London, and been involved in managing the restaurants Fuel Bistro, Tow Bar and MG Garage in Sydney. She is currently a full-time mum, author and co-director in the company MPS Investments Pty Ltd.
One day, instead of picking up a new book, I started to write. The first name that came to mind was Violet. From there the rest naturally followed. I can honestly say, once Violet was discovered – she really did write the rest of the book! Writing this book has drawn on my life experience – in my travels around the world and the different people I have met. It draws on love and loss and the overall confusion that comes with growing up. It also looks to many of my friends and their experiences. I have always loved ancient history – tales and stories of the best kind. Click HERE to view the Book Nerd Interview & Giveaway with Jessica Shirvington.